This Rotary year is off to a flying start. 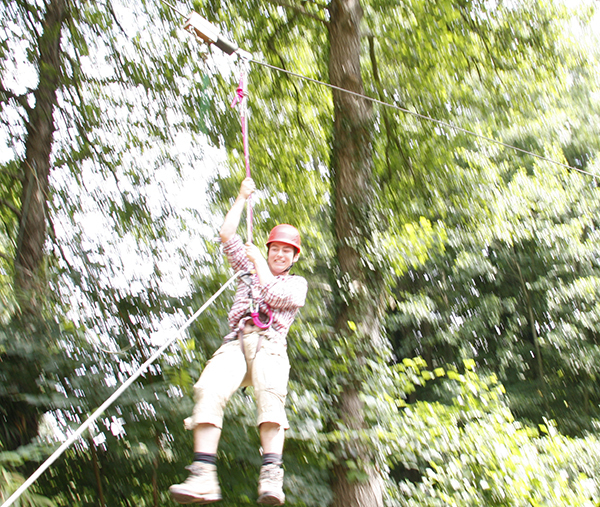 In the picture a youngster on a fly wire at Rotary Youth Leadership Awards camp. As the schools break up for summer, family holidays are upon us and we see Rotary clubs busy organising their summer fetes, charity golf competitions, and other interesting events. We mustn’t forget that these are all good opportunities to showcase Rotary. Why not invite friends to help and ask them if they are interested in volunteering and coming along to your club. 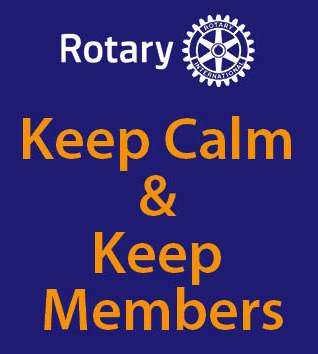 August is Membership & Retention month. I am very pleased to have signed provisional status form for Gordano Breakfast and I look forward to seeing them charter later in the year. We also have a number of clubs who are looking at the possibility of starting Satellite Clubs and Rotary Community Corps. Have you thought about starting one? Further details from Tim Mason district membership chair. The Rotary in Great Britain and Ireland (RIBI) President Peter King is visiting the District on August 6 & 7. He will be visiting a number of Club projects during these 2 days. On Wednesday August 6, 7.00 pm, we are holding a dinner at Egypt Mill Nailsworth. Any member who is interested in attending should contact AG Joan Goldsmith. The cost is £16. Next week our Rotary Youth Leadership Awards ( RYLA) 5 day residential course is running in the Forest of Dean. The course aims to improve the leadership skills of 40 young people aged between 16 and 18. Thank you to all the clubs that support this by sponsoring a student to attend. It is a life changing experience for the participants. Our picture is of Imran Kahn a Rotarian in Pakistan helping aid workers administer polio immunisations. the polio virus has migrated to countries such as Syria where there have been cases, Egypt and Israel. the latter has not notified WHO of any cases but the polio virus has been found in sewage. 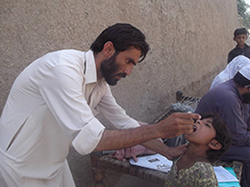 Recently aid workers have been allowed in with armed guards to immunise children in Bara a sub division of the Kyber Agency of Federal Administered Tribal Area (FATA) of Pakistan. In some areas it will be the first time since 2012. Our friend and colleague is working in that area. Cases in Nigeria have fallen to an all time low and the prediction is that Nigeria will be declared polio free in 2018. We are making progress but we know the final solution will be hard. Rotary International through the Rotary Foundation released another tranche of money forwards this programme recently. We cannot stop now since if we did all our work would be in vain and the polio virus would rerun to many countries. It is also worth noting that all members can attend these meetings. It's that time of year when members are asked for their subscriptions and some decide not to renew their membership. Does your club have a procedure to follow up these members and speak with them and find out their reasons for not renewing their membership. If each club did that and reviewed what these people were saying and moved to resolve some of the challenges we would retain members. On a more positive note here are the new members since the last Newsletter. District 1100 eClub: James Lovatt, Monodou Sarr, Robert Tyson, Pauline Wright, Jennifer Scott, Peter Ibbotson, Nicky, Terry, Luke and Zachary Parker.